The protracted sale of The Weinstein Company has entered a new phase. An investment group led by Maria Contreras-Sweet, former head of the U.S. Small Business Administration, has moved into exclusive negotiations about a bid for the company's assets, according to a person with knowledge of the talks. A deal could now be days away, the person said. The Weinstein Co. has been seeking a buyer for several months. The movie and TV studio was severely hurt by the sexual harassment and assault scandal surrounding Harvey Weinstein. In fact, the stain was so damaging that the company likely won't carry the name Weinstein at all in the future. Representatives for Contreras-Sweet and The Weinstein Co. declined to comment on Tuesday. Deadline, The Wall Street Journal and Reuters reported that exclusive negotiations are underway. The person with knowledge of the talks said the plan calls for Contreras-Sweet's group to acquire the studio's employees, projects and assets. The plan will avert a bankruptcy auction, which was thought to be a likely outcome. But the investor group will not be buying The Weinstein Co. per se -- because they'll be forming a new company with a new name. Erasing the stain, so to speak. Last fall Contreras-Sweet was reportedly interested in having a "women-led board" take control of The Weinstein Co. Her proposal letter to the company sparked both internal and external interest. 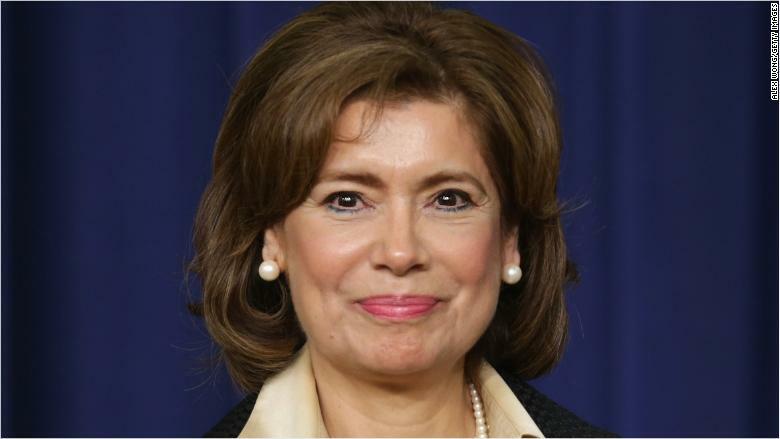 Before running the SBA during the Obama administration, Contreras-Sweet was the founder of ProAmerica Bank. The Weinstein Co. has operated in a state of limbo ever since the scandal involving Harvey Weinstein erupted last October. Projects have been frozen and partners have backed away from the studio. So a sale would provide some much-appreciated guidance to staffers about the future of the company.